Video is my favorite medium. I have spent literally countless weeks in dark video editing suites. As a rule one minute of finished video will take about 8 hours of editing time. I believe that video can attract, convince, engage and educate like no other medium. It is difficult to do well, but can results can be something akin to a work of art. Video as content on websites is growing and will continue to rise for years to come. According to a story written in the Washington Post by Brian Fung on May 27th 2015, in 5 years 80% of all internet content will be online video. That figure actually rises to 85% in the United States. I totally believe that this is not only plausible but inevitable. The article later also states that today Netflix accounts for one-third of Internet traffic at peak hours and when you factor in YouTube, the figure rises to about half of all bandwidth consumed. Most of all the information will be delivered via mobile devices and will be higher quality and demand more bandwidth. So what does that say to us - If you’re not already make video a priority and put it on your website. If you don’t, I fear you will be left behind. In recent years the cost of video production has come down significantly. Anyone with a SLR, GoPro or cell phone has gotten into the video business and the quality of what is out there reflects this notion. Just like in any profession there are the good, the bad and the ugly. So if you are unfamiliar with video, hiring a video production crew might be daunting. Here are some of my observations about things to consider when hiring a video production company. 1. Experience: Videography is not something that you learn overnight. The difference between a good and a bad production are in the details and nuances. Make sure that the director of photography or cinematographer and crew are experienced in the finer points of their trade and have the years of experience to back it up. 2. References: By all means ask for references and seek out your own independent ones. Weigh opinions about the quality of work but also ask questions about the process of working with the person or company. If the person or company is not willing to go the extra mile or is difficult to deal with, believe me it is not worth it. 3. Body of Work: The best indicator of the product that you will receive in the future is the results of the past. Review the companies reel. Look for things like the lighting, composition, editing transitions, special effects, overall communication of message and storytelling. If you do not feel competent in judging the work, share it with others that you respect and may have more expertise in the medium. 4. Specificity: Just like doctors, videographers usually have types of video that they specialize in. 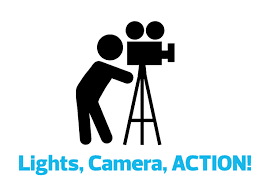 Some may be particularly good at corporate videos, 30 second commercials, raw fast paced action, interviews … etc. The point is to find the videographer that best fits your project and is able to communicate your message in the style that is most appropriate. Form follows function. 5. Budget: Obviously money is a big factor in any video production. It impacts everything. Time spent on the project, editing, equipment and people used etc. To avoid conflict, budgets need to be decided upfront. After describing the project to the company ask for a quote. In-turn they will also be asking you for a budget number, so have one in mind. After you agree on a number you will be asked to sign a contract detailing amount and the scope of work performed. In that contract, make it explicit that they are not authorized to go over the budget amount without your consent. Also express in the contract that you are to be advised, if it is foreseen that that budget might be exceeded. This way there is no confusion. 6. Talent and Equipment: Make sure that the videographer has access to talent, whether it is on-air spokesperson or voiceover. Also check that he or she has the equipment needed and is appropriate for the production of the shoot. It is not uncommon for a videographer will need to rent specialized equipment to accomplish a shoot. Also, often a video production company may use sub-contractors to carry out various functions such as sound engineers, grips, production assistants etc. 7. Schedule: Scheduling when it comes to video can be very tricky because you are dealing with numerous logistics that are out of control such as weather, people, and locations... In your meetings establish a timeline in which the shoot, editing and post-production will take place but beware that schedule is likely to change. Also keep in mind that time is money. Video can be very expensive because it involves lots of expensive equipment and multiple people’s time. 8. Planning: Video takes quite a bit of production planning. The video company may employ the assistance of a director, producer, and copy writer to help you conceptualize, write and coordinate the production. These people can also have combined roles. Whatever the case, use these professionals as a resource in pursuit to realizing your vision and making the best possible video. I welcome hearing your thoughts regarding your experience with video. Post your questions and ideas in the comments section below.